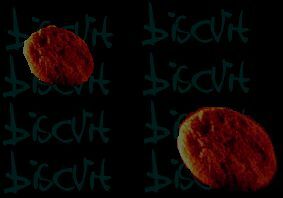 Welcome to the new look Biscuit page... to really see this page properly, you need to download the "Ebola" font, which should make all the pages here look wicked. Or so we hope. hehe. Now let's try a different colour. Biscuit have been busy filming their new 6.9 VIDEO CLIP!!! ...Very soon, we should have a clip of it up on the page so you can all have a look yada yada yada. BISCUIT is good. yeah. hehehe!